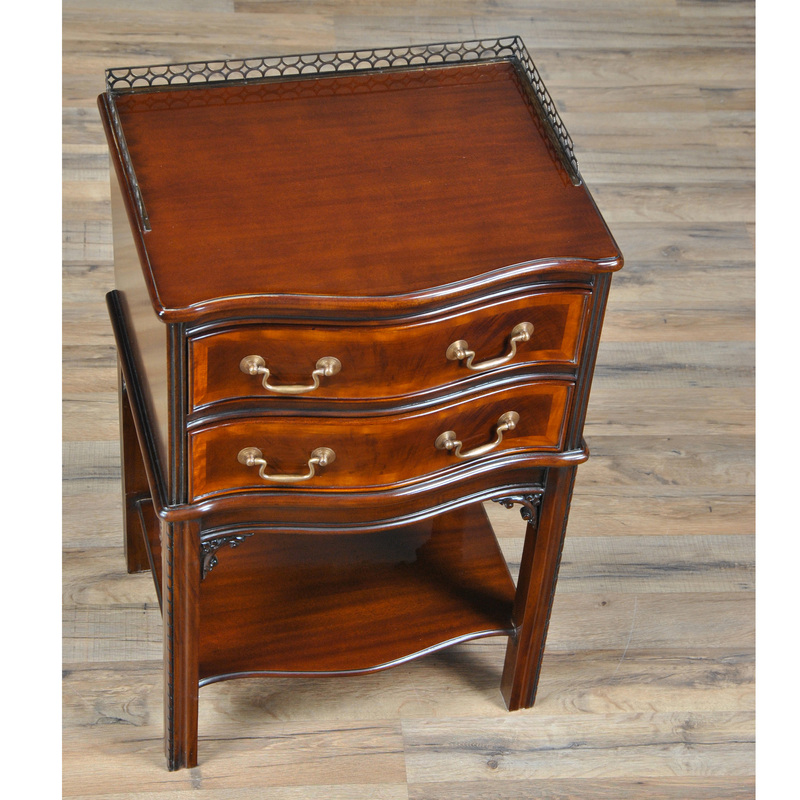 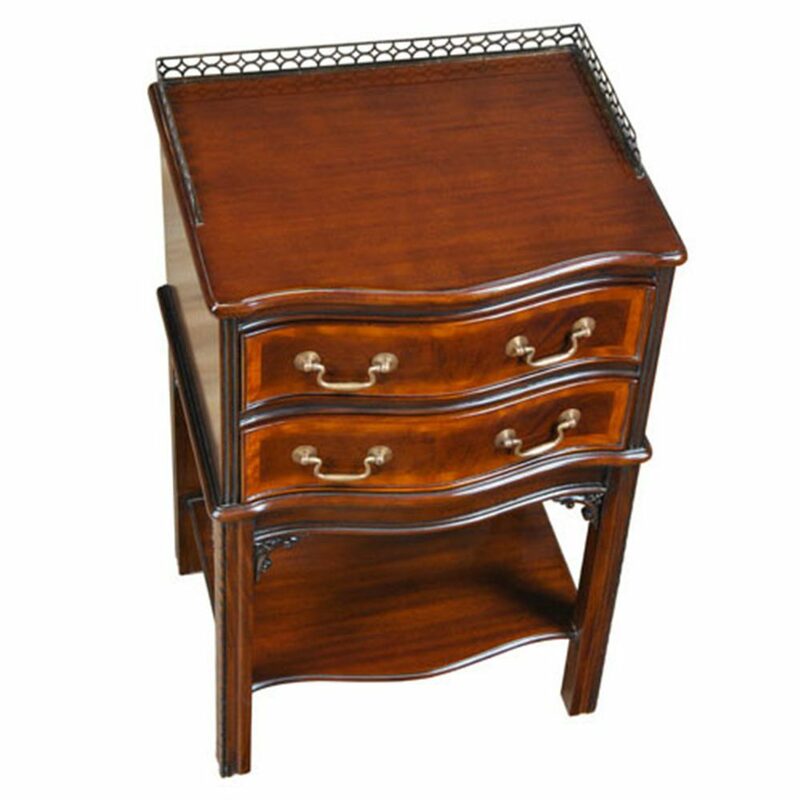 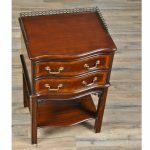 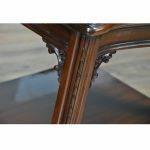 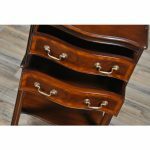 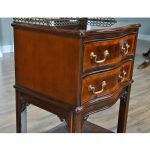 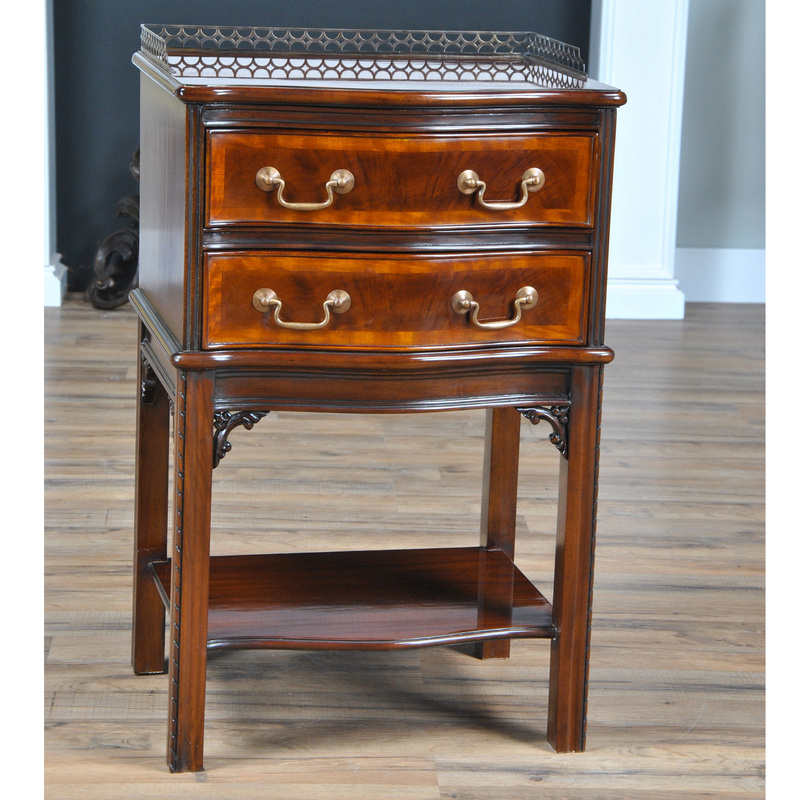 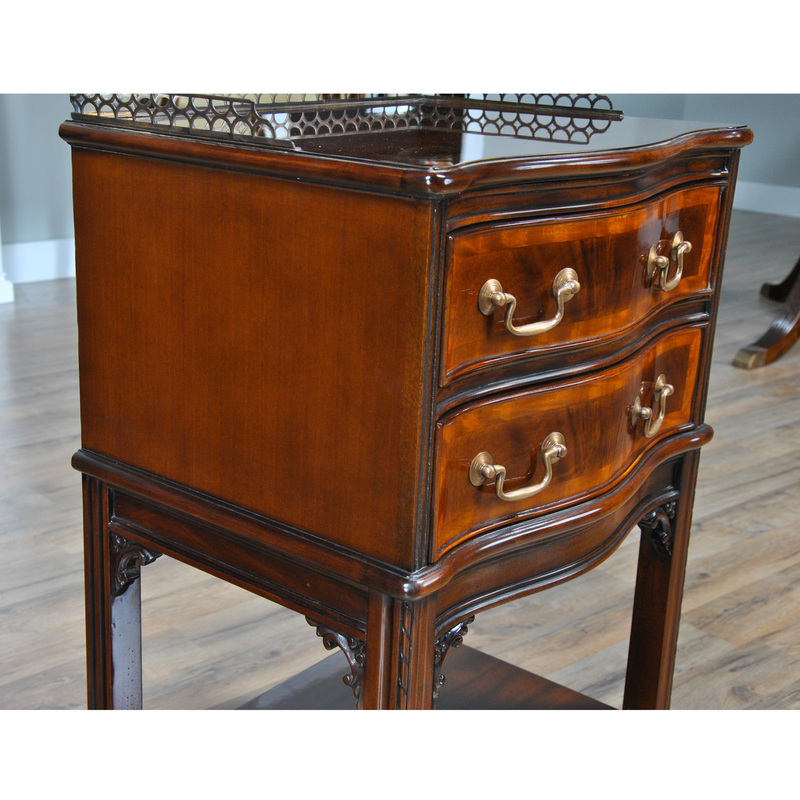 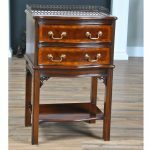 An attractive two drawer serpentine front Chippendale End Table suitable for use as either an end table or as a night stand. 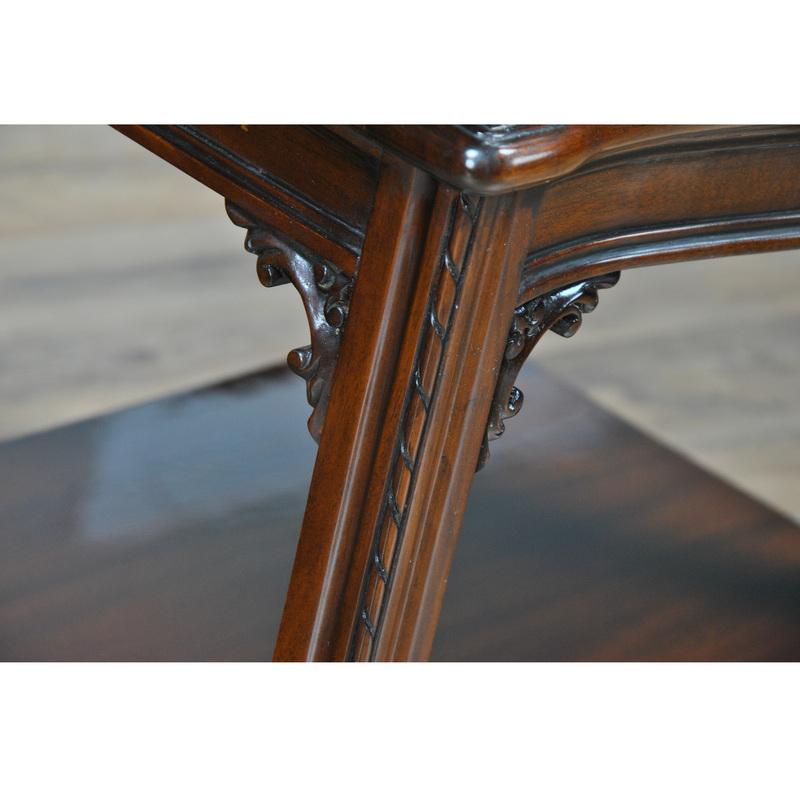 Great hand carved details and designer quality hardware give the Niagara Furniture Chippendale End Table a great look in any setting. 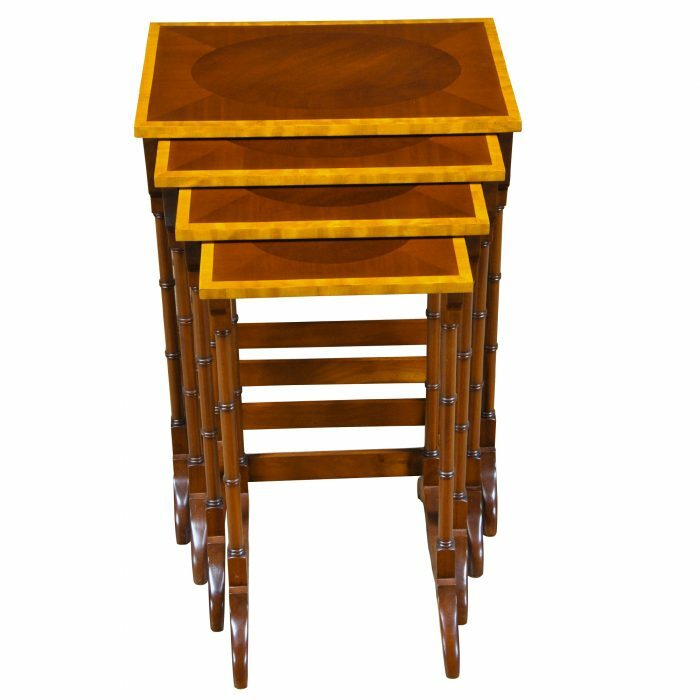 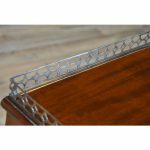 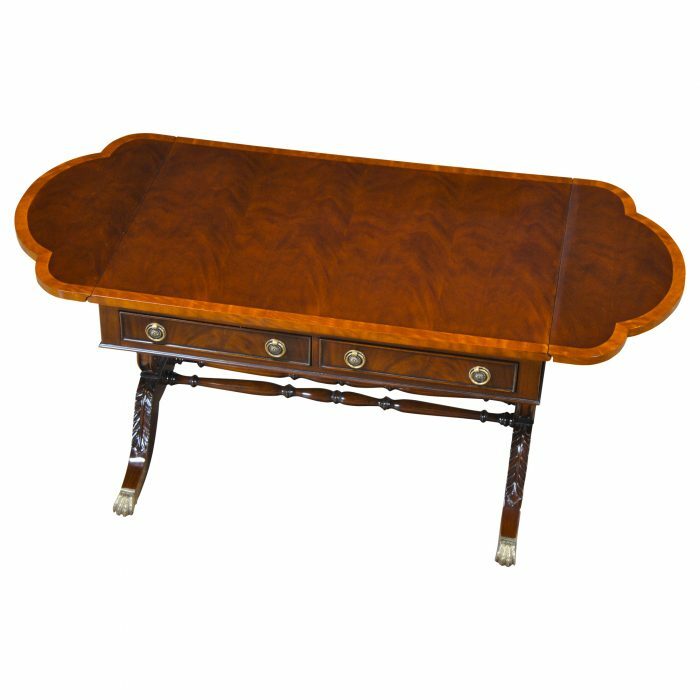 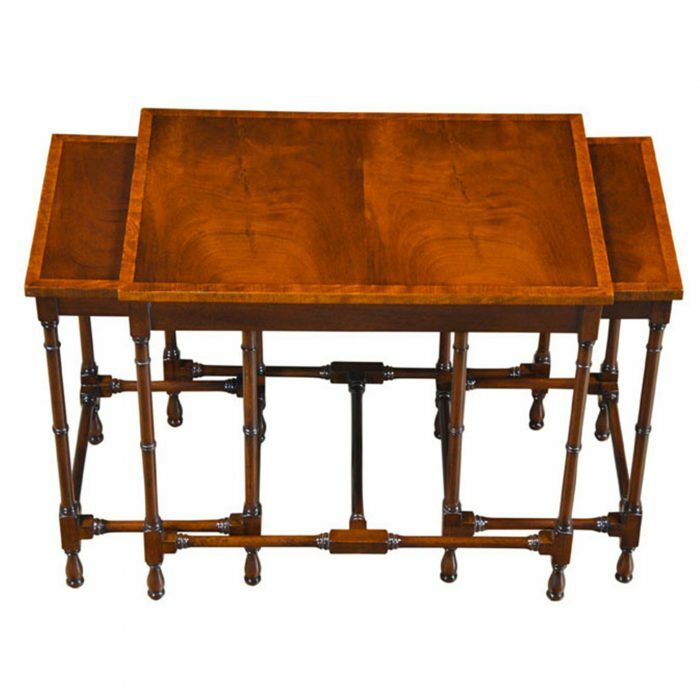 Frequently purchased in pairs for opposite ends of either a sofa or a bed the brass gallery around the top adds a designer look while helping to keep items in place on the top of the table. 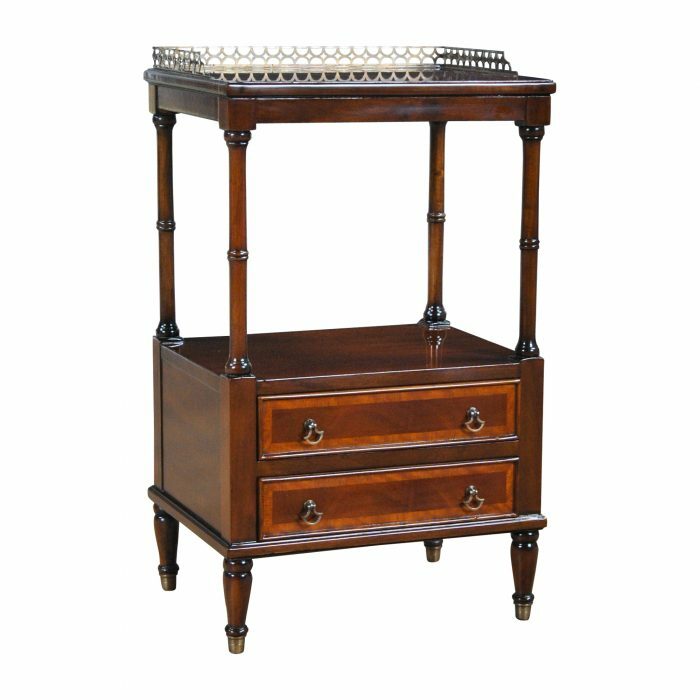 The Table provides a lot of storage in the two dovetailed drawers along with extra display space on the open shelf down below.